Is there any good crime fiction out there? In my quest to discover a good crime fiction writer I recently stumbled upon the work of Linwood Barclay. Barclay’s books are slightly different to the majority of what I’ve read before in that they are told from the perspective of one of the characters affected by the crime. Usually the husband of a woman who is missing or dead. This is a good thing because it prevents the usual (and incredibly annoying) focus on the invariably messy personal life of the lead detective which is a staple of most crime novels. In this case the messy personal life of the main character is exactly what is important. It doesn’t however prevent the stories from becoming somewhat formulaic. I was so excited to find a writer I could enjoy that I read several of his works in fairly quick succession and was dismayed to discover that I was getting irritated by certain patterns that were emerging. However I have just finished reading one of his latest offerings – The Accident and I was pleased to find that the plot varied a little and I didn’t actually guess who the Bad Guy was. I say it’s usually to do with the wife but actually one of the books used the wife’s family as the missing people (No Time For Goodbye) and another had a neighbouring family gunned down. That second example was Too Close To Home and was actually the most obvious to figure out. And if I can guess the ending then anyone can! We hadn’t washed the dishes from the night before. There were a couple of coffee cups, my Scotch glass and Sheila’s wine goblet, with a dark red residue at the bottom, siting in the sink. 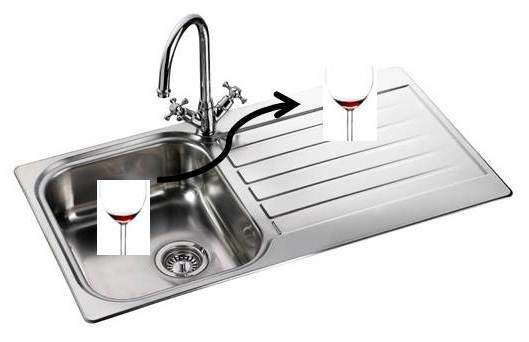 I lifted the goblet onto the counter, worried the stem might break if other things got tossed into the sink alongside it. Changed my whole opinion of Glen Garber. I mean do we seriously need to know about this little occurrence? Is the author trying to show us what an incredibly normal life these people lead by telling us such mundane details? Or is he just trying to throw in a few extra words in order to up his page count? Either way I find it pointless and irritating and wish that I didn’t have to waste time reading trivial details which serve no purpose in furthering the plot or for character development. Also there should be a semi-colon between counter and worried, not a comma. 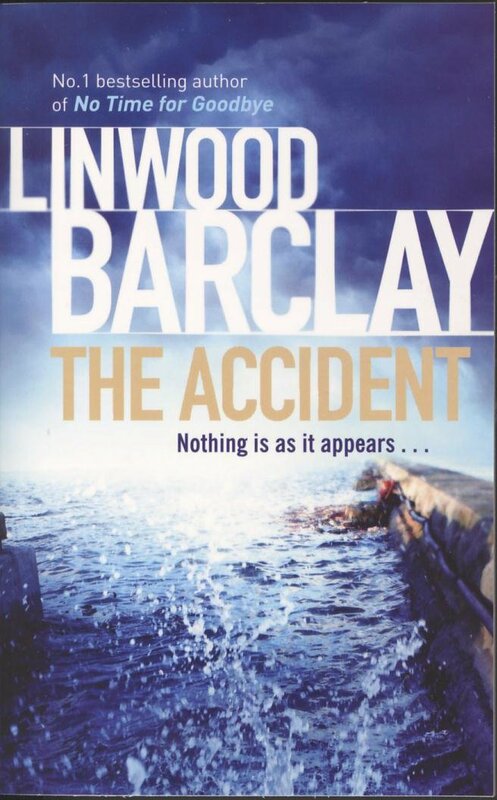 So to conclude – I like Linwood Barclay and he is the best crime fiction writer I have come across (and I’ve tried quite a few) but he still tends to fall into the same holes as other writers. I think I’ll give it a while before I try any of his other books. 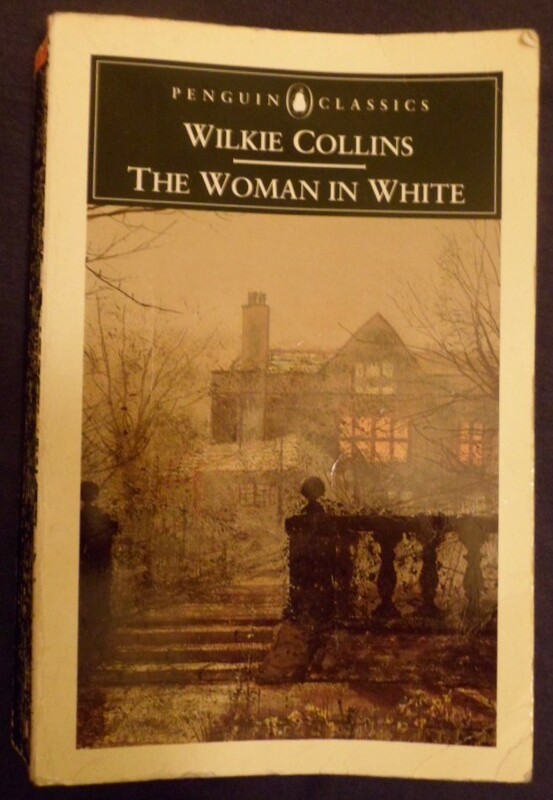 A somewhat battered copy of The Woman in White, mostly because it was bought secondhand! According to the blurb, The Woman in White is “the greatest mystery thriller in the English language” which is one hell of a claim to have to live up to. I’m not sure whether I’d agree completely with this assessment but it certainly was a great read. The drama starts with the chance meeting between Walter Hartright, a young drawing teacher about to leave London for a post in Cumberland, and Anne Catherick, a mysterious woman clad all in white and looking for the road to London in the middle of the night. Anne immediately intrigues Walter as she appears to be familiar with the people who are shortly to become his employers and even more so when it transpires she has just escaped from a mental asylum. This is only the beginning of a tale which unfolds slowly at first and then comes tumbling out at great speed towards the end of the book. Most of the main characters take their turn to tell the story, the duty falls to whoever was closest to the centre of the action at each moment, giving them all a unique voice and giving us the chance to get to know each one a little better. to the interview between Frederick Fairlie and a Young Person which led said Young Person and Mr Fairlie’s valet into a bottomless pit of confusion to the great amusement of the otherwise unamused Frederick. The story itself kept me guessing the whole time, although The Secret at its heart was fairly predictable the methods used to pull off the various deceptions throughout the novel and the true nature of Count Fosco had me a little more confused. A whole host of characters cross the pages, from the saintly Walter and mysterious Anne to Marian Halcombe who has to be one of the strongest and forthright women ever to feature in a Victorian novel. Even the bit parts such as Mrs Rubelle and Margaret Porcher the ‘lumpish’ maid at Blackwater Park have their part in the intrigue and are as well crafted as some of the main characters. The only person who fails to live up to Collins’ standard of characterisation is the person around whom most of the plot revolves: Laura Fairlie/Glyde. I found Laura to be quite a wishy-washy character who faded into the background behind the stronger characters of her sister, husband and most of the rest of the cast. She didn’t however make me want to slap her as is so often the case with the heroines of Victorian literature because she was aware of the peril she was in and played her part in trying to escape from it. Until the closing chapters of the book that is but she can be more-or-less forgiven for that. Overall The Woman in White made me laugh, kept me in suspense and has left me hungry for more of Wilkie Collins’ work. After years of avoiding Stephen King novels (I was convinced that they’d be too scary for me), I was finally tempted this time last year by Carrie and now I’m something of an addict. 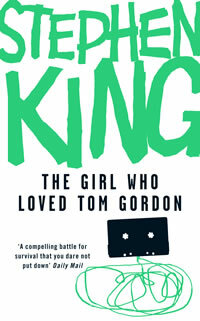 The latest of King’s works to darken my bookshelf is The Girl who loved Tom Gordon which is, in brief, the story of a nine-year old girl, Tricia McFarland, who strays off the path on a family outing to the woods and finds herself swallowed up by the surrounding forest before she knows what’s happened. Blindly optimistic, incredibly self-possessed and with a rudimentary knowledge of the woods and some lucky guesswork Tricia remains in the woods for nine days kept company by hallucinations of the baseball player Tom Gordon, her secret heart-throb. Talking to Tom and listening to baseball games in the evening on her Walkman help keep Tricia going as her situation grows ever more desperate. Quite apart from the shortage of clean water, food and signs of other humans, there is something else in the woods. Something which is watching Tricia, biding its time and sending her frightening messages in the night. 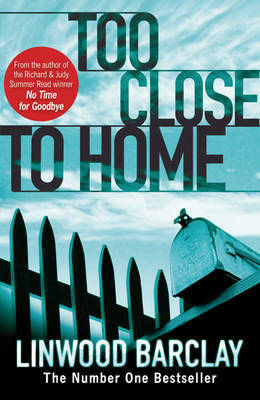 As Tricia stumbles further into the woods, heading for the New Hampshire border we get occasional glimpses of the world she’s leaving behind, the broken family united by fear and grief and the desperate search diverted by a false tip all of which combine to make Tricia’s peril seem ever greater. Another America-related gripe: I know next to nothing about baseball. The chapter titles all related to periods of play within a baseball game and the rest of the text was littered with game coverage and baseball terminology which was mostly lost on me. However I skipped through most of the game coverage without any ill-effect and I could generally get the gist of the other parts so I’m not really complaining. In a book that spans nine days and is only 220 pages we are swept along on an emotional rollercoaster as Tricia wanders through the woods in turns despondent, hopeful and terrified. The thing which stalks her is never far away and King manages to perfectly capture that prickly sense of being watched which I’m sure everyone is familiar with. It’s for exactly that reason that I’d recommend The Girl who loved Tom Gordon; it’s not one if you love fast-moving dramatic plots but if, like me, you’re more interested in character development and spot-on depictions of human emotion then this book is most definitely for you. Even in the middle of one of the largest cities on Earth, you’ll find yourself lost in the woods.